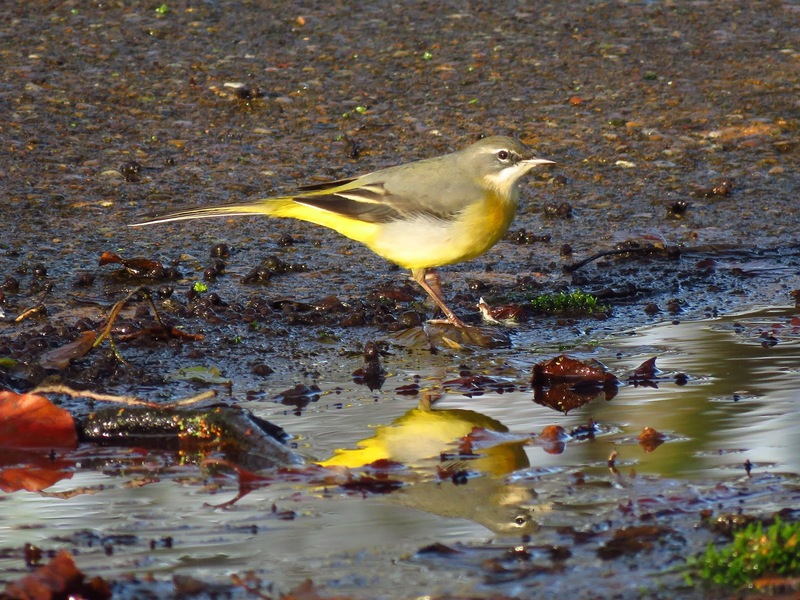 Grey Wagtails breed in upland streams and rivers, but they are common passage and wintering birds in urban waterbodies, from small ponds to lakes. 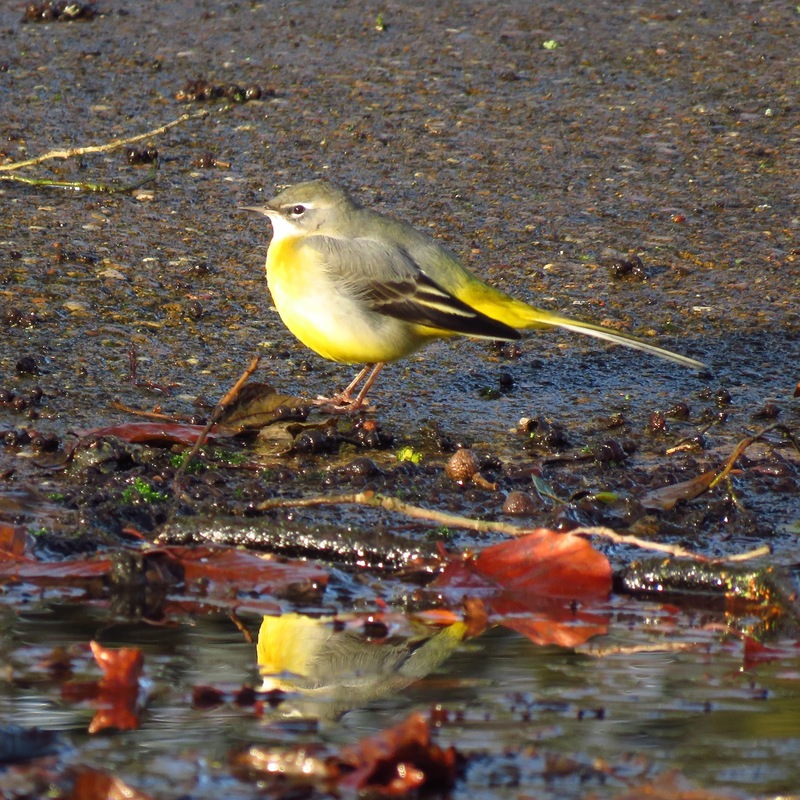 I watched one today in a local park,. Despite their name, they are surprisingly yellow, in the low winter sun this one shone very bright. Grey Wagtails don't move much away from water, and often feed right at the waters edge picking tiny flies, beetles and other invertebrates, while wagging their long tails up and down. Today I was surprised by the behaviour of this wagtail when feeding on leaf litter by a puddle, as it was energetically lifting leaves and looking under them like a blackbird does. Lovely video. 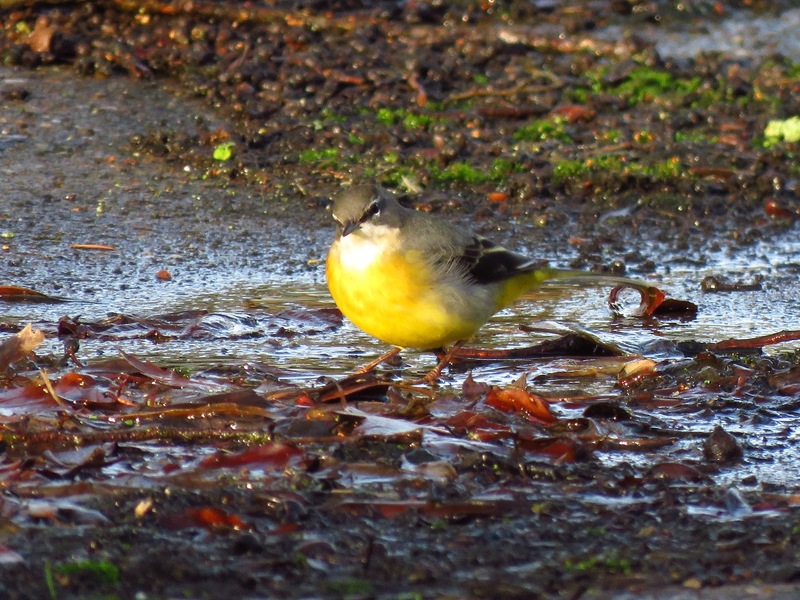 I've never seen a Grey Wagtail picking up leaves like that. Thank you Ralph. Me neither, I stopped the video and then it lifted a leaf larger that itself! Birds are always surprising you! The clarity of the yellow is wonderful.